I’ve seen this place many times but never thought to try it because A) the entire point of this restaurant challenge is to break our taqueria pattern and B) I was biased. Sorry, but it has the word “Wraps” in its name. It just reminds me of those chains that wrap things like rice, broccoli, and teriyaki chicken in a sun-dried tomato tortilla. See, now, that’s a wrap. But I was wrong. That’s not what this place has. 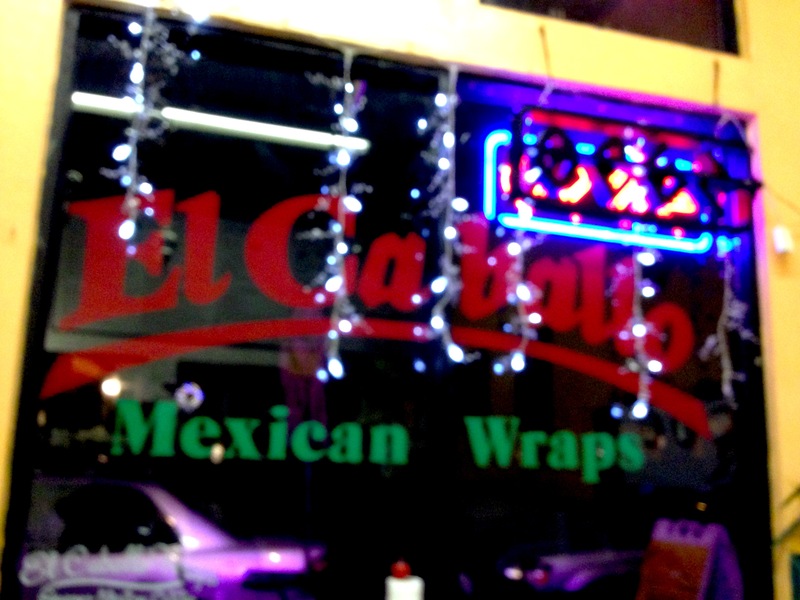 This place has burritos and other delicious Mexican foods. To be fair we didn’t pick this out of the bucket. 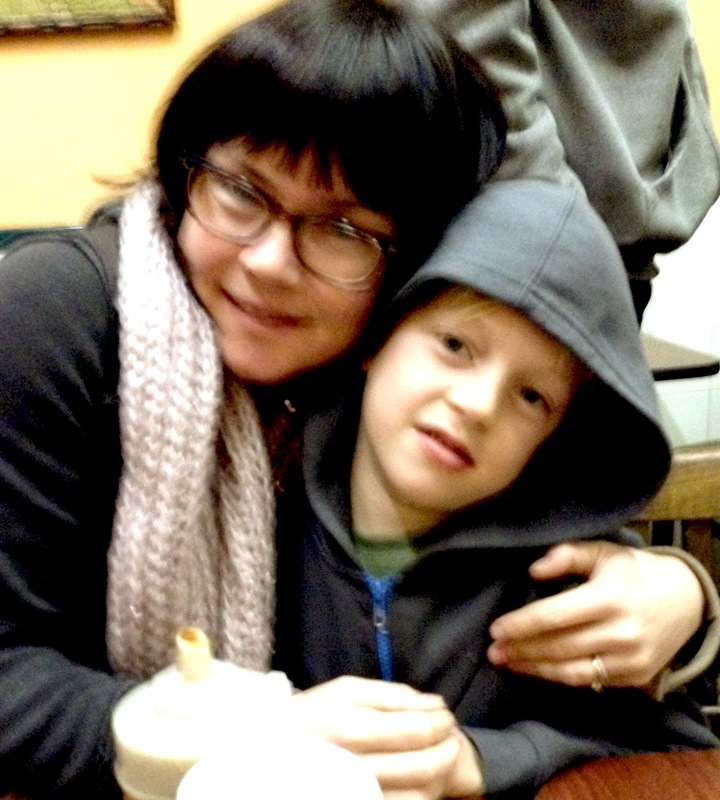 The kids and I went with some friends a few weeks back at their recommendation. BUT we couldn’t count it towards the restaurant challenge until we went as a family. So tonight we returned and it was good for a second time, and we’ll most definitely be back. 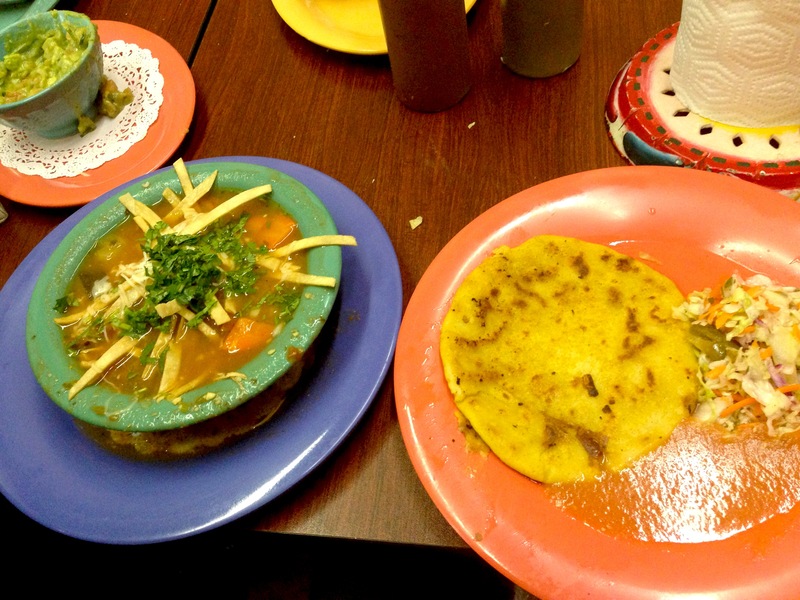 In fact, I think this might be my favorite Mexican food on the island. For me, it was all about the Chicken Tortilla Soup. On this cold night a few weeks before Christmas, this perfect bowl of soup paired with a pork papusa and a plastic bottle full of their amazing smokey hot sauce made for happiness. A few weeks back I tried a carnitas taco and some nachos. Both very tasty. 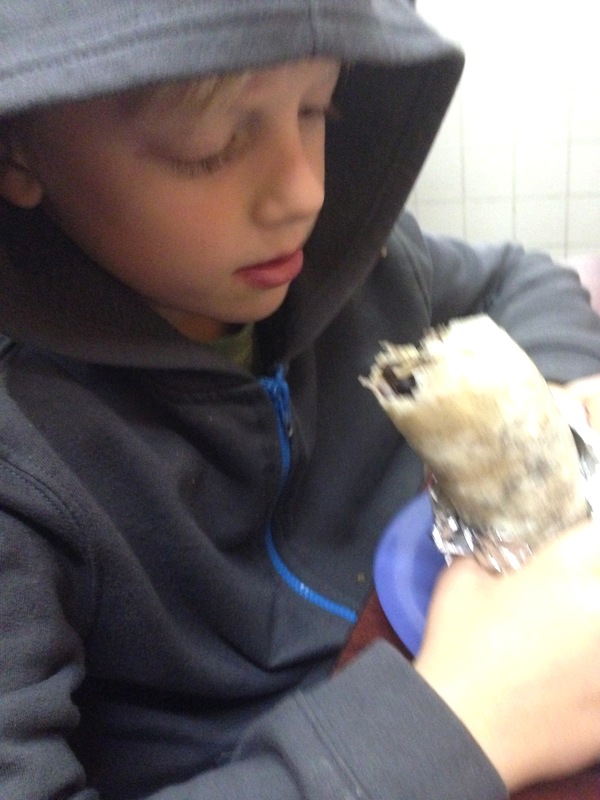 Hoodie and Burrito… Just like his Dad in college. 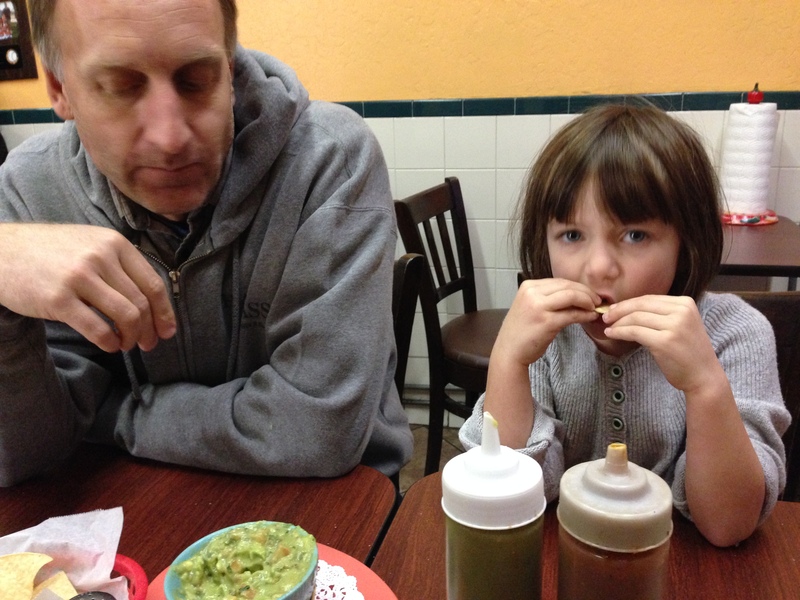 Jack: Thumbs up for a bean and rice El Nino (kids) burrito, guacamole, chips. Learning experience: He thought he’d like black beans but tried them and has decided pinto is always the way to go. Agreed. Elise: Bean (pinto) and Cheese El Nino Burrito and side of rice. She ate it all but said she didn’t like it. Standard mixed bag reaction. Remember Thanksgiving? Mike: Burrito Al Pastor which he thought was just ok. I took a bite and liked it. Bottom Line: We’ll return. Super friendly owner and staff, great food, DELISH Chicken Tortilla Soup.